Clemson coach Larry Penley and freshman Doc Redman will next play at the College Grove, Tennessee Regional. The Clemson Tigers are the third seed in the NCAA Regional to be played at College Grove, Tennessee. The top seed in the region is Vanderbilt. The ‘Doors are also the top seed in the entire field. The South Carolina Gamecocks are seeded 5th in the West Lafayette, Indiana Regional. Florida is the top seed in the region. 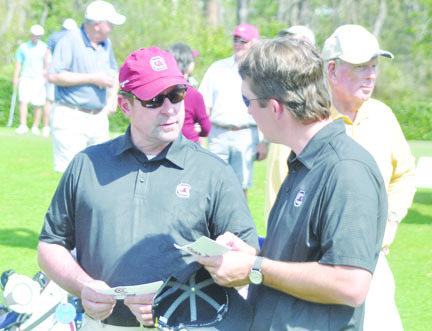 South Carolina finished at the 33rd ranked team in the Golf Stat poll. Keenan Huskey is ranked 30th in the individual rankings. Wofford’s Andrew Novak will be making his second trip to the NCAA Regionals. He will play in College Grove, Tennessee. 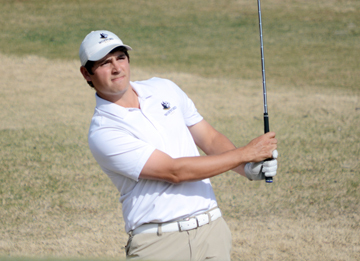 Wofford College Senior Andrew Novak has been selected as an individual entrant and will play in the College Grove, Tennessee Regional. Novak is a former SC Amateur Champion.He won the Badger Invitational to start the season and has been honored as the SoCon golfer of the month after finishing as the runner-up at the Furman Intercollegiate.